Enriched with volcanic cluster and green complex from pure jeju island, this line helps control excessive sebum for soft skin. 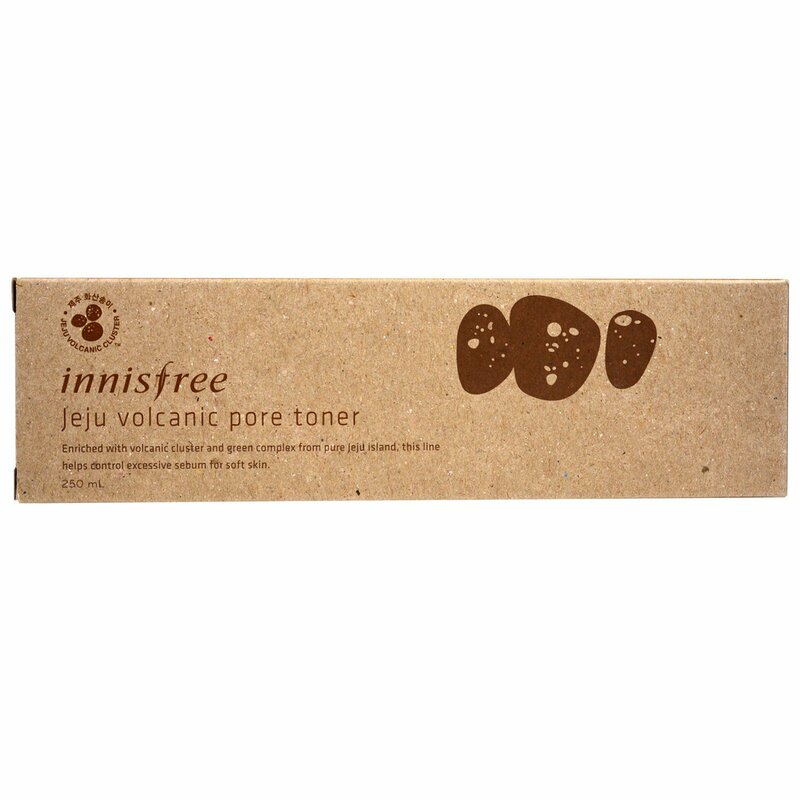 A sebum control toner with Jeju volcanic cluster with strong sebum absorptive power to keep skin grease-free. Soak a cotton pad with the toner and gently wipe it all over your face after washing, taking care to follow the skin texture. Make sure to shake it well before use because it contains powder. Water, alcohol, propanediol, volcanic ash, protease, camellia japonica leaf extract, orchid extract, opuntia coccinellifera fruit extract, citrus unshiu peel extract, camellia sinensis leaf extract, sodium magnesium silicate, peg-60 hydrogenated castor oil, sodium lactate, lactic acid, calcium chloride, ethylhexylglycerin, butylene glycol, silica, disodium edta, phenoxyethanol, fragrance.